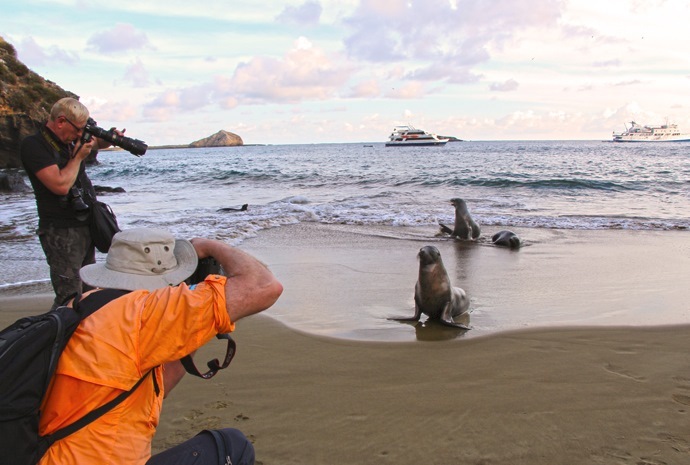 Before you commence your adventure of a lifetime to the Galapagos Islands, our WILDFOOT team have put together some useful information to help you prepare for your trip. Our team have visited Galapagos numerous times so please let us know if you have any questions or queries and we will be delighted to help. There are endless opportunities for photography in the Islands. These are most notably of wildlife, but also include diverse land and seascapes, enhanced by the amazing clarity of the air. Wildlife encounters are unlike those in most parts of the world in that birds and mammals have no fear of humans. Close proximity, whilst observing strict guidelines, is generally possible. If you intend to back-up/download each day, you must have your own laptop or similar since computers are unlikely to be available at hotels or on board boats for simple transfers to memory sticks, etc. This card must be obtained and cancelled at Quito or Guayaquil airport prior to embarkation for flights to the Galapagos – passengers will be directed the desk where this document is obtained. The cost is $20, payable in cash only. Some inclusive itineraries include this card in the package. The whole archipelago is a national park and all international visitors must pay a $100 entrance fee. When travelling on an inclusive cruise based itinerary, this is usually included. If not, the fee is collected in cash (only) on arrival at Baltra or San Cristobel airport. Currency throughout Ecuador is the US Dollar. It is advisable to carry cash in small denominations since $100 and $50 bills (notes) are often treated with suspicion. There are banks and ATMs in Puerto Ayora (Santa Cruz) and San Cristobel. Banks are normally open 0900-1700 Monday-Friday with limited opening on Saturdays. Credit cards are accepted in most hotels and many (but not all) shops. It is advisable to carry sufficient cash for expected purchases. Most hotels and cruise boats have safe facilities. There are post offices in Puerto Ayora (Santa Cruz) and San Cristobel. Postage stamps can also be obtained from some souvenir shops and hotel receptions. 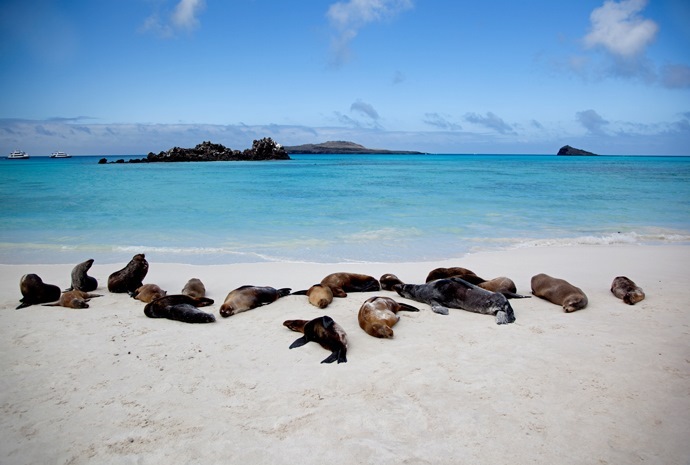 It is never cold in the Galapagos, however, between June and November, a light jacket is advisable. Apart from that, light casual clothing is fine, along with swimwear. Sturdy walking shoes and sandals are essential for walking on the islands, where the terrain often consists of sharp volcanic rock. A hat is also essential as well as high factor sun-block and good quality sunglasses. The national language is Spanish. Some English will be spoken in main hotels and on board boats, but visitors should not expect all locals to speak even a little English. A Spanish-English phrase book/dictionary is recommended. Voltage is 110 and plugs are either standard American flat pin or thin round pin. It is best to carry adaptors for both.